Animated films exist on their own continent, perhaps even in their own dimension. Stars you haven't seen in a live-action major Hollywood film in decades, or whose last television series got cancelled in the '70s, find eternal youth voicing characters drawn by others. It has to be the easiest gig in acting, perhaps in any type of employment. Come in, read for a few days, get called back in a year or three later to do a few more lines, and that's it. Nice work if you can get it. Toy owner Andy, who once again makes only the briefest of appearances. The beauty of the entire process is that the sequels are almost automatic. Unless an animated film really dies at the box office or has some kind of Mysterious Problem at actually putting together a quick sequel (cough cough "Finding Nemo" cough cough), the studios can spit these out whenever they want. The character become our friends, helped by long-ago associations made when the voice actors were still major players in other productions. 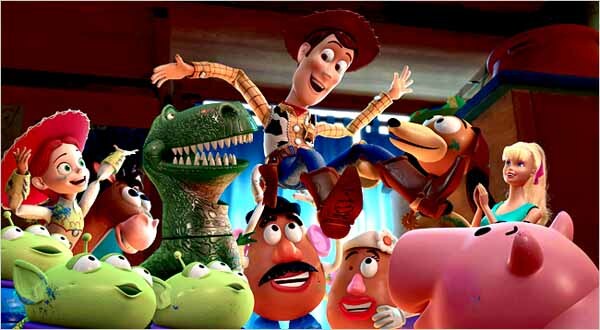 Controversial or edgy actors tend not to last long in animated films, it is the laid-back, feel-good types that prosper. 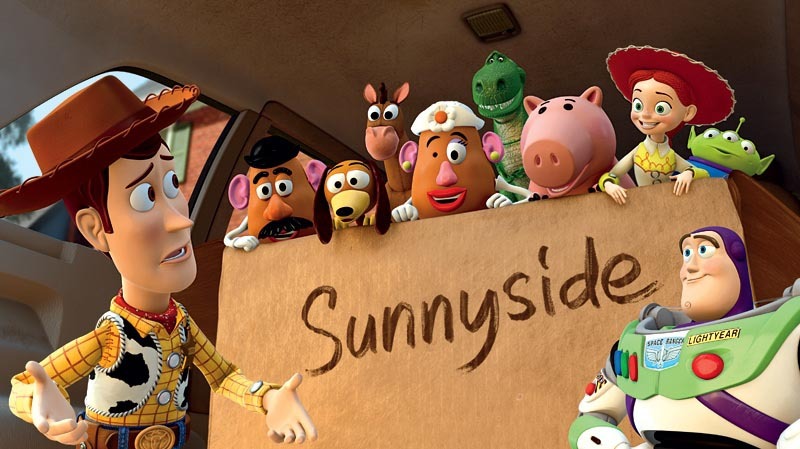 "Toy Story 3" (2010) has one of the best such voice casts in the business. 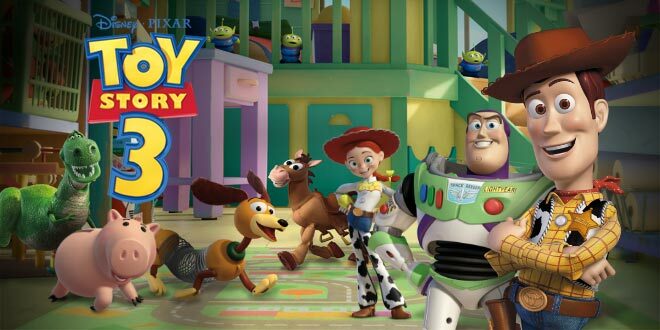 Mr. Nice Guy himself, Tom Hanks, reprises his role as Woody, while Tim Allen once again is Buzz Lightyear. These guys may not be quite the fire-eaters they were fifteen years ago, but they are amiable and fit the friend-mold perfectly. Comfortable Don Rickles, who was entertaining all of our parents when they were young, is Mr. Potato Head, and "Mr. Cheers" himself, John Ratzenberger, is along with a lot of his trademark seen-it-all quips as well. In this one, the toys are mistakenly delivered to a day-care center. They think they have been abandoned by Andy (their owner) and his family, but Woody knows that Andy ( John Morris) is a nice boy and wouldn't do anything like that. Does it all work out well in the end? With all these friends around, what do you think? In my opinion, the plot doesn't really matter anyway. We get to spend some time with our old friends, who once again are facing a common problem as a group which they must overcome, and that is enough right there. It's the simplest, sweetest theme in show biz, and it works like a charm every time it is used, whether it be in Rickles' own "Kelly's Heroes" or "Lost" or the entire "" franchise. These sequels do not exist in a vacuum. 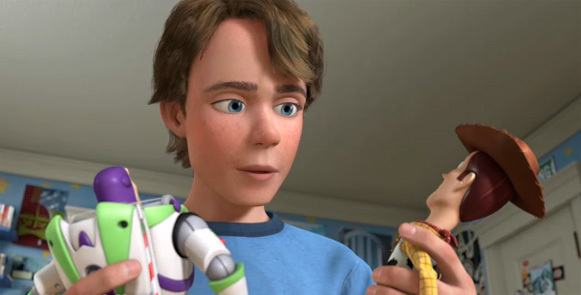 While you don't need to have seen "Toy Story" and "Toy Story 2" in order to understand this film, it sure helps. Besides, you miss out on all the camaraderie if you don't watch the previous instalments. It is fine being friends for one film, but don't you want to get the full experience? Who wants to be the late transfer into high school, with everyone else already friends and in their well-established cliques? Better to join the ride at the beginning, not half-way through. 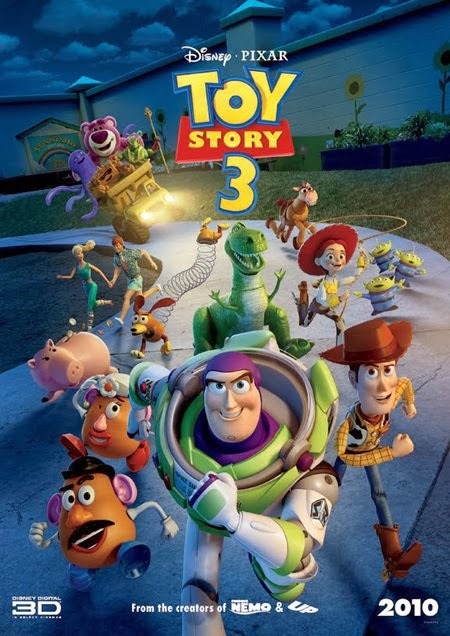 As usual, in a trend that began long ago but matured only with Disney's "Beauty and the Beast," which begat the hit Broadway show of the same name and many other spin-offs, "Toy Story 3" was nurtured into a cottage industry. 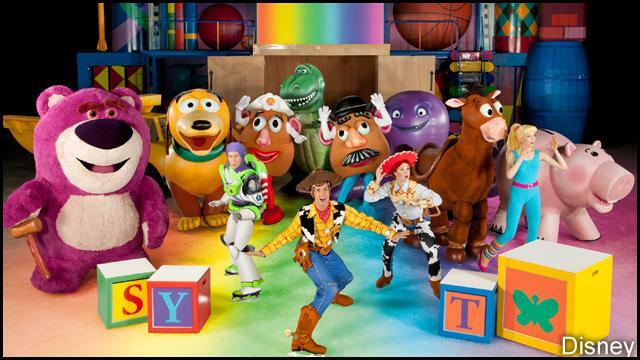 Aside from the obvious toy sales it drives, "Toy Story 3 On Ice" toured the country. Mel Brooks must have had a lot of fun thinking about that! Just amazing how these guys respect the power of synergy. Pixar, of course, also created the award-winning "Up!." 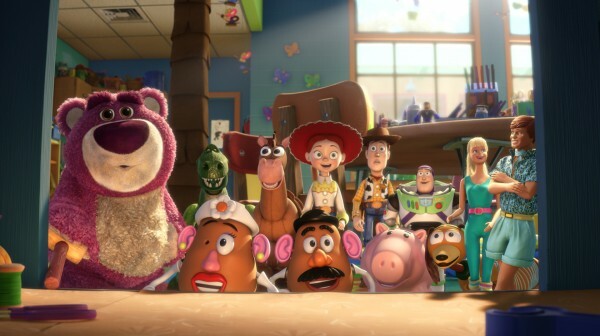 There is a hidden reference in "Toy Story 3" to "Up!" 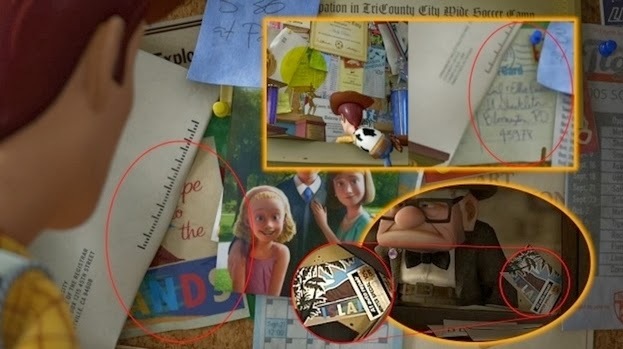 Andy has a postcard sent from them on his bulletin board. Yes, it's Toy Story 3 On Ice!!!!!!!! 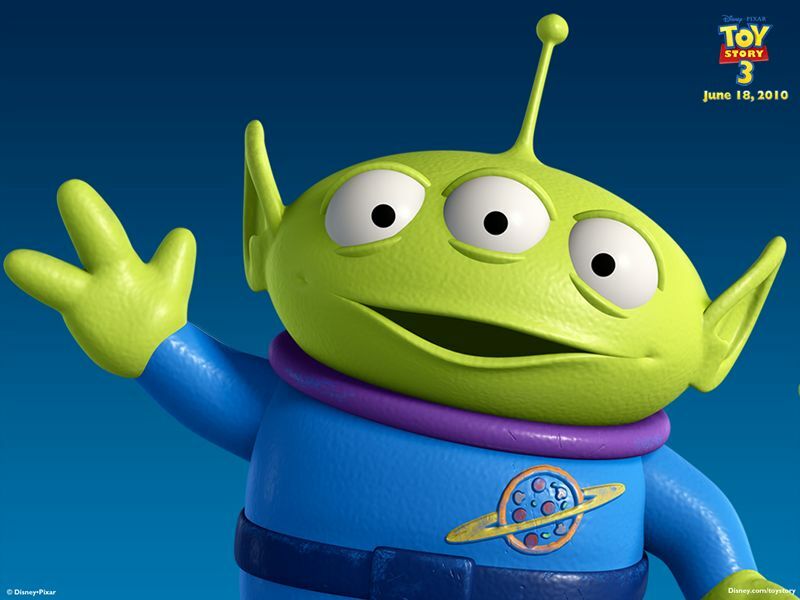 Watch the first two "Toy Story" films before you try this one, and you'll have a lot more fun. Oh, it was the top-grossing film of 2010 for a reason, and currently the second-highest grossing animated film of all time. 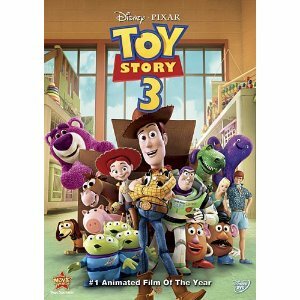 It's a great film, probably the best in the entire "Toy Story" series and the entire Pixar library, and well worth your time.